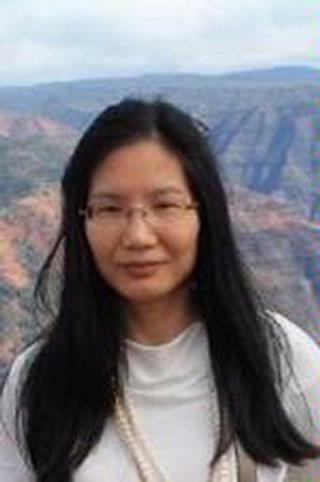 Dongmei Li received her PhD in Biostatistics from Department of Statistics at The Ohio State University in 2009. Her docotoral research focus on resampling-based multiple testing procedures with applications to microarray data analysis. Dr. Li's research focus on differential analysis methods and multiple testing procedures in genomic data analysis especially in methylation and transcriptome data analysis. Dr. Li also has extensive collaboration experience. She has collaborated with numerous investigators from a variety of schools and institutions such as school of medicine, nursing and dental hygiene, biomedical engineering, education, cancer center, center on disability studies, and institute of marine biology. Dr. Li has served as co-investigators and biostatisticians on multiple national grants including a 10 million grant from CMS on diabetes studies for Medicaid beneficiaries, NIH R21, P20, P30, and U54 grants on biomedical research. Dr. Li currently directs the Biomedical Data Science Certificate Program and is the Biostatistics and Informatics Core director for the WNY Center for Research on Flavored Tobacco Products (CRoFT), a center grant funded by FDA/NCI. Li D, Sundar IK, McIntosh S, Ossip DJ, Goniewicz ML, O'Connor RJ, Rahman I. "Association of smoking and electronic cigarette use with wheezing and related respiratory symptoms in adults: cross-sectional results from the Population Assessment of Tobacco and Health (PATH) study, wave 2." Tobacco control.. 2019 Feb 13; Epub 2019 Feb 13. Toscano M, Li D, Dye T, Olson-Chen C. "Antepartum Contraceptive Counseling in Women with Preterm Birth." American journal of perinatology.. 2019 Jan 4; Epub 2019 Jan 04. Jessop H, Li D, Katz AR, Hurwitz EL. "Asthma prevalence disparities and differences in sociodemographic associations with asthma, between Native Hawaiian/Other Pacific Islander, Asian, and White adults in Hawaii - Behavioral Risk Factor Surveillance System (BRFSS), 2001-2010." Ethnicity & health.. 2019 Jan 0; 24(1):1-23. Epub 2017 Mar 30.